According to the Genworth Financials 2013 Cost of Care study, nearly 7 out of 10 American seniors will spend time in an elder care facility. 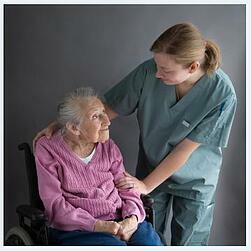 Although staff members are not highly compensated, nursing homes are notoriously expensive. What drives the cost? And are there other alternatives? “We’re not getting rich, we’re covering our bills,” says Dave Brennan, an administrator at Benedictine, a Minneapolis nursing home. “It does, on the face of it, seem very expensive,” adds Todd Bergstrom, a research director at Care Providers of Minnesota. According to Bergstrom, the average nursing home cost is about $170 a day – or $62,000 a year – but many residents pay much more. Joyce Jackson, who recovered from a coma at Benedictine, incurred charges of $300 a day, or $109,000 a year. What doesn’t go to staffing costs is used for medical care, utilities, rent, insurance, taxes, and other administrative charges. Although Brennan insists that the costs are less than what one would pay in a hospital, they are still considerably higher than in-home care. And unlike nursing homes, in-home care can offer clear supervision with quality homecare systems and homecare software- such as ClearCare. Reliable homecare systems and homecare software, like ClearCare, have been developed to improve patient care, provide real-time point-of-care visibility for family members, and help keep more seniors living at home. Working with a home care agency that offers ClearCare’s homecare software allows seniors with disabilities or illnesses to “age in place” in the comfort of their own home, negating the need for packing up and moving into an expensive nursing home. Home care costs less, and provides higher levels of supervision and personal attention. Agencies that use innovative homecare systems and homecare software can easily communicate with family members, physicians, and caregivers – keeping everyone on the same page. While nursing home care costs continue to increase, homecare systems like ClearCare have remained consistently affordable. Every day, more home care agencies are coming to understand the value of ClearCare’s web-based homecare software and offer it to their clients – satisfying more families and their elderly loved ones.